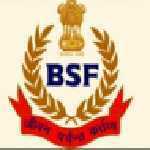 BSF Inspector recruitment 2016-17 notification apply for 3 posts : Border Security Force (BSF) welcomes application for the position of 03 Inspector (Architect) Group “b”, non – Gazette from non – ministerial, engineering (Combatised) in the border security Force vacancies. Candidates who completed their Degree in architecture is a good opportunity.The individuals who are the occupation seekers searching for govt employments in India this is the best chance to apply. Competitors read the official notification then read all the guidelines and miners precisely then apply before the last date online application got. All the interested and eligible candidates can apply before 30 days from the date of publication. Candidates Age Limit: The age of the candidate should not be less than 18 years and should be up to 30 years. Academic qualification details: Candidates should have degree in architecture from a recognized university or institution and registered with council of Architecture under architects act 1972. Details of Fee particulars: Candidatesare required to pay application fee Rs 50/- through Demand draft / Indian postal order in the favor of respective address. Schedule caste categories candidates (SC) / Schedule tribe categories candidates (ST) / BSF constable categories candidates / EXSM categories candidates/ women categories candidates are exempted from application fee. Process of applying for the job: Candidates may apply in prescribed application form along with two recent passport size color photograph should be affixed on the application form, one each photograph to be affixed on the application form and admit card / two self – addressed envelope of size of 25 X 12 cm with Rs 40/- stamp / DD send to the commandant, 25 BN BSF, Chhawla camp, Najafgarh road, post – Chhawla, new Delhi:- 110071 on or before 30 days from the date of publication in employment news.